PROA is the Pennsylvania state-wide landlords association. 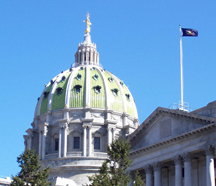 We represent the interests of residential rental owners in Pennsylvania state government by providing full time lobbying in the state legislature. Our web site and bulletins keep our members informed of legislative issues affecting their rental business. An online discussion forum is available where members can obtain information, and get answers. Educational programs are also available through the PROA store. PROA has local chapters located throughout Pennsylvania. These provide their members with local support services. Our state organization coordinates their state-wide efforts, and provides additional benefits to their members. Membership is open to landlords, apartment owners, real estate investors, property managers, and rental property owners. One way to become a member of PROA is to join one of our local chapters. Where no local chapter is available, individuals may also join independently as at-large members. If someone is interested in forming a new local group, we will assist them in getting started. Associate membership is also available to vendors and suppliers who serve the apartment rental industry. Pennsylvania Residential Owners Association, Inc.
PROA is partnering with Ignite, the marketing arm for one of the fastest growing Energy providers in the United States. This partnership provides a way for our members, associates, families and friends to support PROA in an unconventional way. It's called the Power Up Fundraiser! Through this fundraiser, PROA can receive a monthly commission from Ignite at no cost to you.